SEAMAN JOB INFO - Posted/Jan/2019 Synergy Group Operation, Inc. 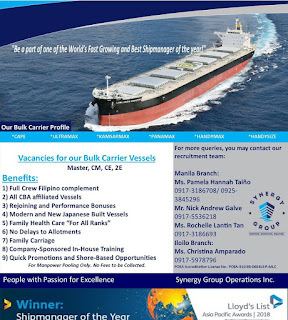 Updated hiring jobs for Filipino seafarers crew join on bulk carrier vessels deployment January-February 2019. 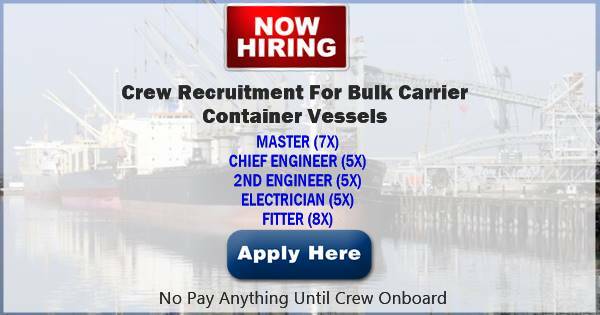 - (7) MASTERS (2 Capesize, 4 Panamax, 1 Logbulk) - at least 12 mos experience as Master. 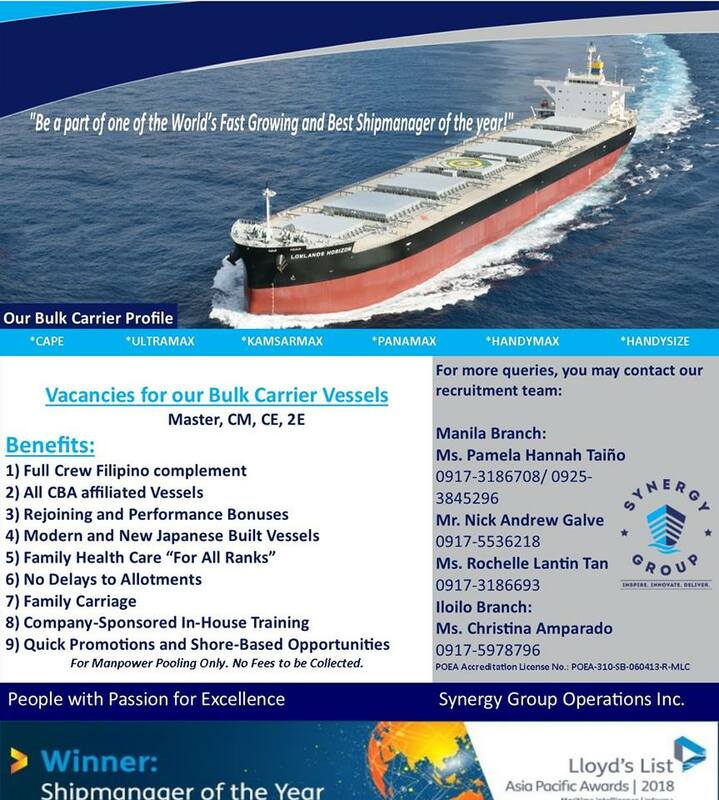 - (5) CE (3 ME, 2 MC engine experience; and at least 12 mos experience as CE) - 2 Capesize, 2 Kamsarmax, 1 Panamax. - (5) 2E (3 ME and 2 MC engine; and at least 12 mos experience as 2E) - 3 Capesize, 1 Supramax, 1 Handymax. 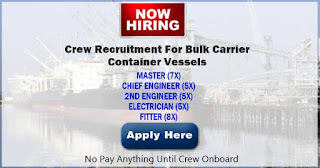 0 Response to "Fitter(8x), ETO(5x), 2/E(5x), C/E(5x), Master(7x) For Bulk Carriers and Container Vessels"